The famous Argyle mine, Rio Tinto’s flagship diamond mine in Australia, produced 14.07 million carats in 2018 – an 18% drop compared to its production in 2017, according to Gem Konnect. The miner’s Diavik mine in Canada produced 4.36 million carats during the same period – a 3% drop year-on-year. The lower production at Argyle was due to “enhanced processing of higher grade alluvial tailings”, while the reason for the Diavik output drop was “lower grade ore, partially offset by higher ore processing”. Rio Tinto added that its diamond production guidance for 2019 remains between 15 and 17 million carats. 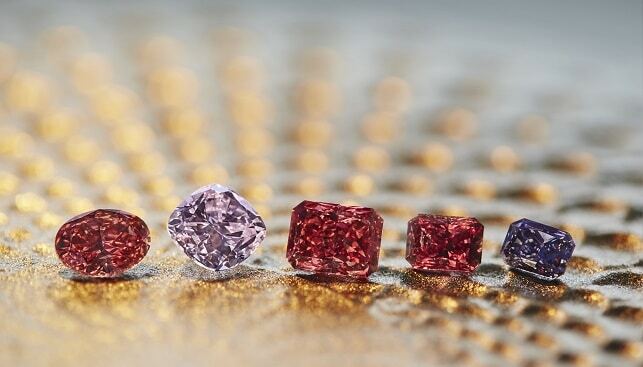 The last Argyle Pink Diamonds Tender, held in November 2018, delivered “record result reflecting strong global demand for fancy coloured diamonds”, according to Rio Tinto. The tender included a collection of 63 rare pink, red and violet diamonds from Argyle. According to the miner, over the past 18 years, “the value of Argyle pink diamonds sold at Tender have appreciated over 400%”.